10 Most Famous Castles In Lithuania For A Dreamy Vacay! 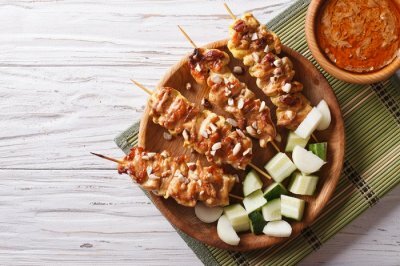 Lithuania is a very beautiful country and a popular travel destination. Every year lots of people from neighboring countries like Greece, Spain and France, visit Lithuania. 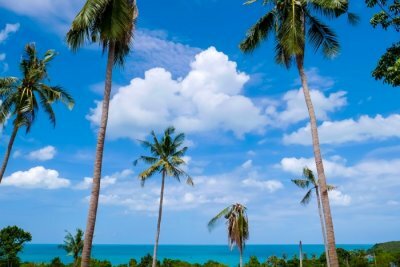 The country has a rich historic heritage and there are many historical monuments like churches, monasteries and castles scattered all throughout the nation. 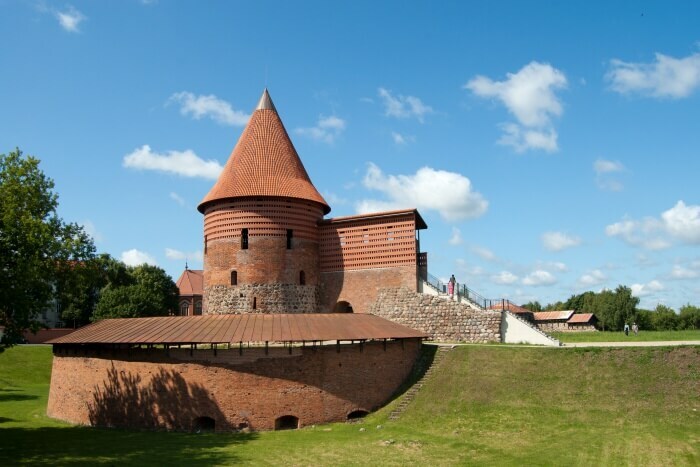 In ancient times, Lithuania was known for its wooden castles and fortresses. These wooden castles used to serve the purpose of defensive blocks and were the residences of the dukes of those times. 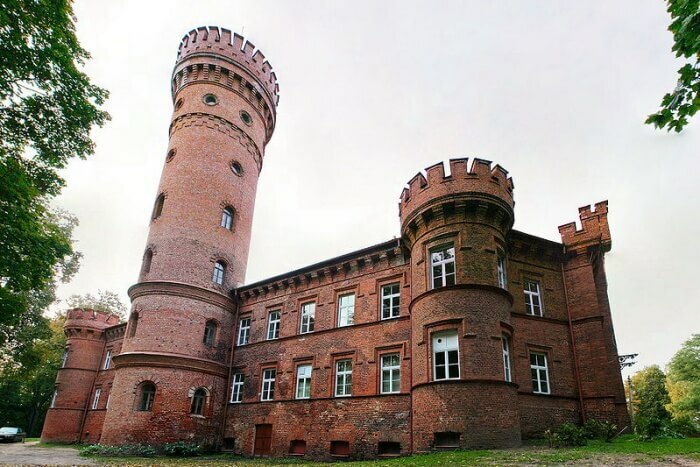 But these wooden castles have dilapidated over time and the castles in Lithuania, which you see in the present day, are all stone and brick castles. The stone and brick castles date back to the 13th and 14th century and there are some really stunning stone castles around Lithuania. 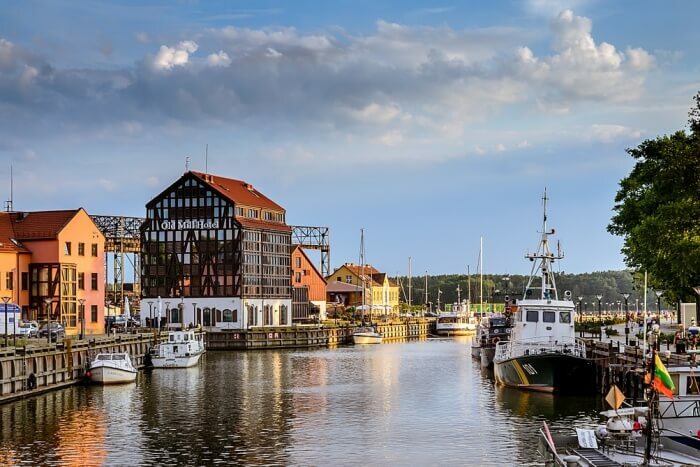 The Lithuania castles are significant to the country’s cultural and historic heritage and you should definitely visit some of the magnificent castles in Lithuania to really get an idea of the country’s past. Lithuania is home to many medieval castles that adds to the charm of the place. There are many stunning castles all over Lithuania, adding to the beauty of the country. A trip to Lithuania is incomplete without visiting some of these beautiful castles. Take a look at our list of 10 magnificent castles in Lithuania that are a must visit. Kaunas castle is probably the oldest castle in Lithuania and it is located in a very beautiful location, where two rivers – the Neris and the Nemunas converge. Built in the 13th century, this castle served as a strong defensive block against the attack of the Teutonic Order. 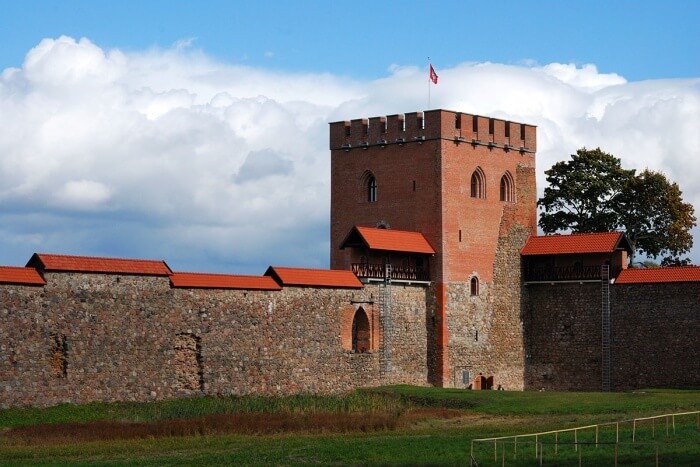 This castle was the only double walled structure in Lithuania at that time and was a very strong defensive bastion. During 1430s the castle was given Magdeburg rights and soon the present day city of Kaunas started to flourish. 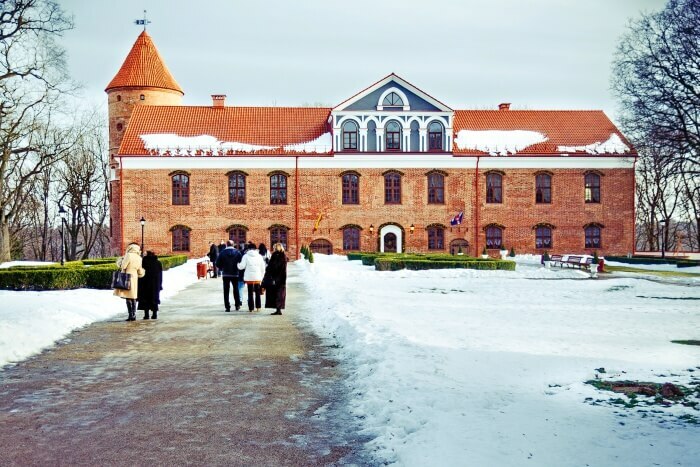 Presently, the castle is a part of the Kaunas city museum and every year cultural events are held in the castle. Panemune castle is another beautiful castle in the country of Lithuania. The castle was built during the period of 1604 to 1610. This castle unlike Kaunas was not typically a defense stronghold, rather the Panemune castle was the residence of the Hungarian Nobles. This feudal styled castle had residential quarters, a defense tackle and farm buildings. The castle architecture is a combination of the Baroque, Renaissance and Classicism. 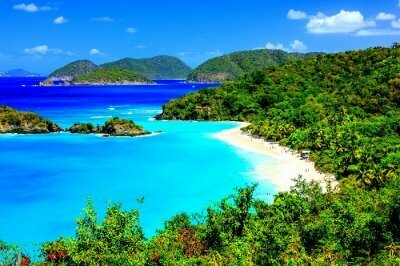 The castle stands perched atop a hill and surrounded by five cascading pools, offering some of the most scenic views. Raudone, till the 16th century, used to be a royal manor and later in the early 16th century the Raudone Castle was built in this place by Crispin Kirsenstein, the son of a Prussian immigrant. Later when Kirsenstein’s grandson became secretary of the Lithuanian Duchy and based himself in Raudone, the city of Raudone flourished and became very prosperous. The castle was destroyed by fire and war and was later rebuilt and in the present day you can still see the original Renaissance styled architecture of the palace. Presently there is a school established within the castle premises and the 35 meter high tower of the castle is open to the public. Suggested Read: 8 Beautiful Castles In Sydney That Reflect The Lesser Known Side Of The City! 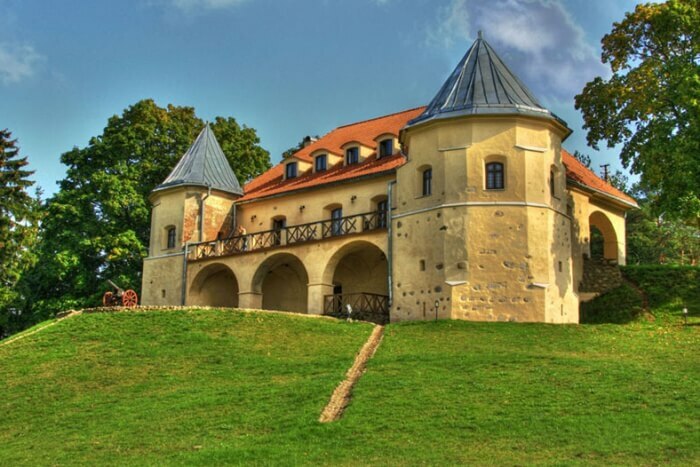 Located in Vilnius district, Medininkai castle is another medieval castle in Lithuania. This castle was built during the 13th – 14th century and was a defensive bastion. The castle unlike many other castles was built on plain grounds and the castle included 4 gates and towers. The main 30 m high tower was used as a residential complex and later on during the late 17th and early 18th century it was converted into a farm and bakery. 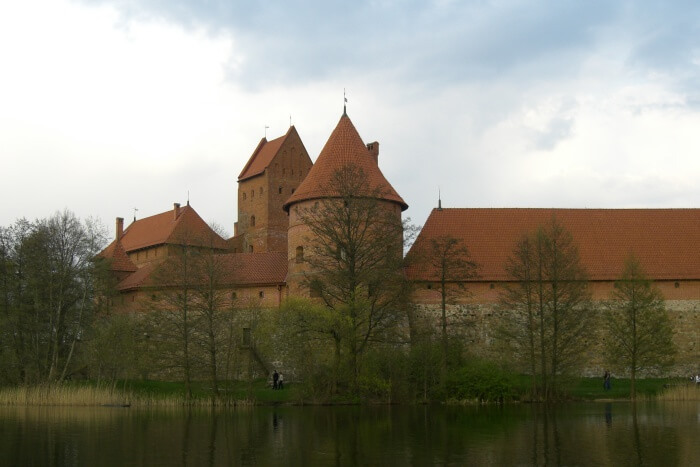 Trakai castle is the only insular castle in entire Europe. The castle was built on an island of Lake Galve and was used as a defense fortress. The castle was later turned into a residential building after it lost its defense significance in the battle of Grunwald. After 1430, the castle was turned into a prison and in the 15th century it was completely deserted. The castle now serves as a historical and architectural monument and is home to a historical museum. Many cultural events and festivals take place in the castle. 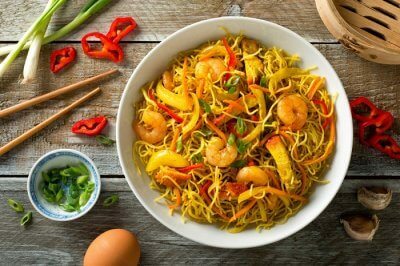 Timings: March, April, October – 10 am to 6 pm, May – Sept 10 am to 7 pm, November – February 9 am to 5 pm. This castle was built in 1252 and was the first stone castle of the Teutonic Order. The castle has been attacked and burned many times and it has undergone many reconstructions over the years. Most of the castle has been destroyed and dilapidated and only the northern part of this defense bastion remains. Birzai is an earth bastion type castle built during 1586 to 1589. The second half of the castle was completed in the 17th century and it has been the residence of the Birzai – Dubingiai family line. During the wars with Sweden, the Birzai castle serve as a major defense fortress. This Dutch style castle is located in a beautiful location by the Lake Sirvena. Norviliskes castle was built by a wealthy Prussian merchant, where an old manor used to be in its place. This Renaissance styled castle has been restored over time, keeping the original architecture of the castle intact. The castle was a defensive system in the medieval time and its gates and towers formed quite a strong defensive system within its compact yards. 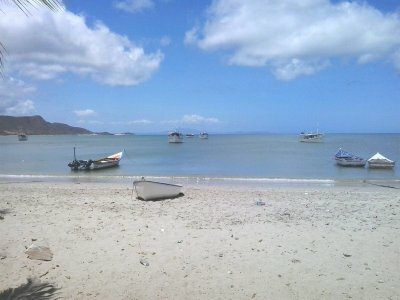 In the present day, the castle is open for public introspection and they also organize parties, events and conferences. This is probably the oldest brick castle in Lithuania. The castle has quite dilapidated over time and in the present day, only the Neo Gothic styled church remains among the caste ruins. Once the new Trakai castle was built and this old castle lost its defensive significance, it was passed on to the Benedictine monks. Raudonvaris is another majestic castle in Lithuania. 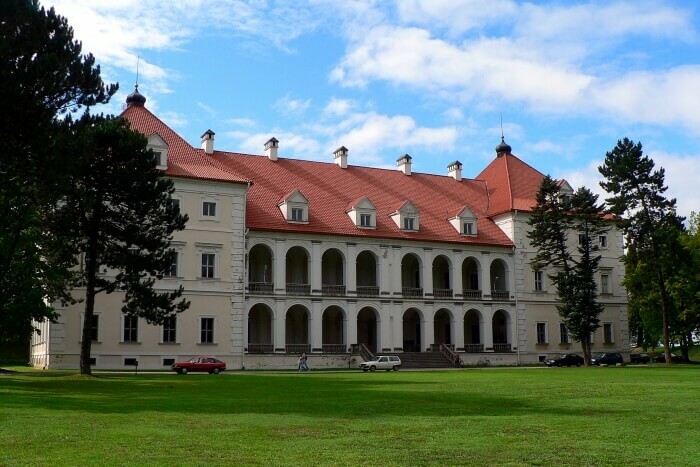 The castle is located only 9 km away from Kaunas and situated in the Raudonvaris village. The manor castle was built during 17th century and you will see significant Renaissance themed architecture in the castle. The main building of the castle is a high towered complex, which was owned by the nobles of Kosakovskiai, Vordlovskai and Radvilai. The castle complex, stables, orangery and ice house has been restored and presently it is used as a spot for cultural tourism. Here you have it, a list of 10 best castles in Lithuania. 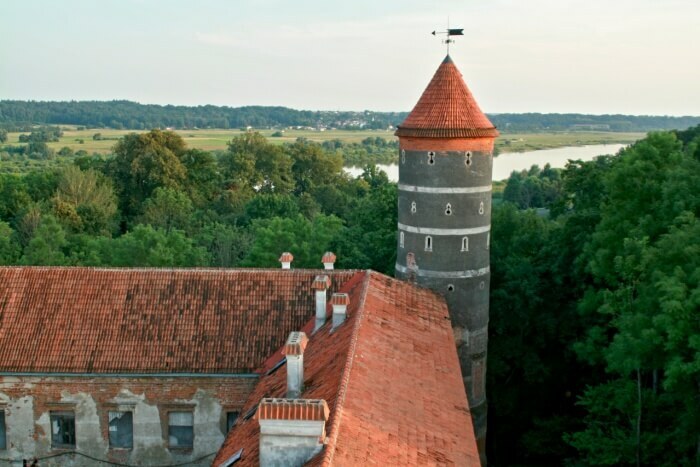 Tour around these castles and palaces on your Lithuania trip and absorb the historical and cultural heritage of the place fully. 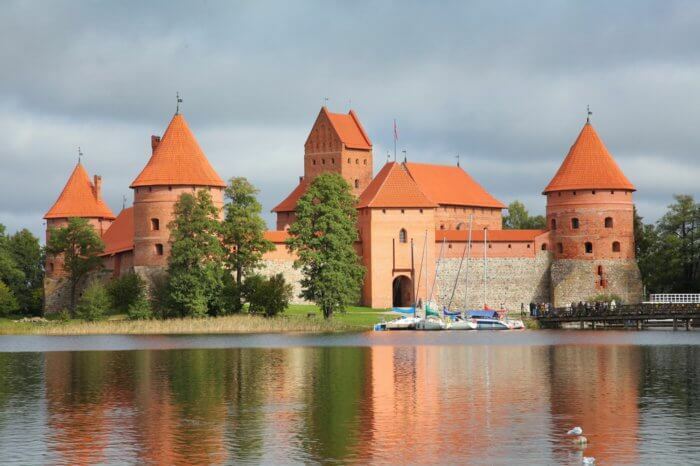 So, now, plan a trip to Europe, head to these castles in Lithuania and enjoy!